The Laguna Lake Natural Reserve Conservation Plan is long and complicated and the dredging permit process itself is also long and complicated. According to the city biologist there may be agencies that don’t even want us to dredge the lake. 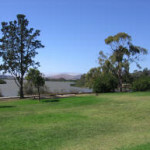 We have environmental issues, steelhead and endangered plants that Atascadero Lake does not have. Even though a plan to dredge the lake was approved there is no method for funding it at this time. Bob Hill has said that the condition of the lake bed would be too challenging to drive trucks on. The council moves slowly and meticulously following a long established process. Mayor Jan Marx has said we should wait until January and bring this idea up at the budget goal setting workshop. But I know that the plan, which has already been approved, does not get less complicated as it sits on a shelf. And that staff could immediately begin working out the specifics of excavating and fill dirt placement before we even have the permits. The city could start the permit process now and dredge later or dredge in increments. The northern portion of the lake bed has tire tracks all over the place. It is now dry enough to drive on. If it becomes an issue, the city could use heavy duty access matting like mega deck. How can the active park, where the fill dirt is supposed to go, have endangered species on it? We have been mowing, parking, mud running, disc-golfing and Renaissance fairing all over it. The council has the ability to be flexible and think outside of the box and has done so before. Sometimes immediate action is required when presented with a rare opportunity- as in saving millions of dollars. Waiting until January is wasting even more precious time that could be used researching the permit process. I would like to know why can’t the council direct staff to begin planning the dredging project now. Plan where the first 30,000 cubic yards of fill are going to be removed from the lake bed and where on the active park it will be placed. Why can’t the city start the permit process immediately. If an agency really does not plan on letting us dredge then we need to know now. It may be easier to get permits for smaller portions of excavation or fill dirt placement where there are no identified endangered species. For years the city has said it wants to improve the lake. If that’s true why not do some of the work now while the city has the rare opportunity to save millions because the lake is dry. Here’s an old idea: Contract with John Madonna immediately. Let him arrange the digging and transport of all the dirt. Let him take it down 10 feet. Let him sell the fantastically fertile soil to the farmers up Los Osos Valley….where the dirt came from…for operational cost and wonderful profit, then obtain a small profit of the sale to improve the park itself. You know. JUST LIKE ALEX MADONNA OFFERED TO DO FOR FREE during our last big drought. No dickering. No stupid council blatherings. Just get it done…NOW. Dig the reference…big far side fan but these are not the facts on the maintenance work or the maintenance funding for Cuesta. Unfortunately (and fortunate at the same time) the State changed the way it funded Community College maintenance in 2000 (under the old Prop 39 not the one that just passed). The intention was to pass very few state wide bonds for maintenance/renovation and that the bonds were to be passed locally. This prevented folks like SLO for paying for huge costs of large Districts such as L.A. and Sac. With that 65 of 72 Districts have passed local bonds to support their Community College needs, many have passed two and Districts such as San Mateo and Contra Costa have three. Locally Allen Hancock passed their Bond in 2006. So the truth is that Cuesta has lasted longer than over 90% of the CC in the system without local Bond support. It has just reached a point where local support is now critical. Two other points…First, you statement of Cuesta diverting Maintenance funding to salaries is unfounded. The Districts budget is published in their Board documents annually and this is public record. If you look you will see that Cuesta has continually increased maintenance funding from its general fund to cover maintenance costs. This is due to a lack of a local bond support and money that could have been used in the classroom. The general fund of a community college was never funded by the State to make up for the reduction of State General Obligation bonds, it was assumed by the State that passing a Bond under Prop 39 was a given. After all, the proposition was passed by the people of California in the 2000 election. Lastly, Proposition 39 funding can not be used to pay salaries and would be audited by an oversight committee in which Cuesta College employees may not be a member. This committee is required to report out publicly every year. Though it is frustrating the way the California system is set up, it is not Cuesta’s neglect that they are where they are with this item. Measure L is not empire building it is maintaining San Luis Obispo’s commitment they voted and put into place in 1964. Thanks for the far side part of your post though, classic humor!!! Do you have a link to Cuesta’s budget? I couldn’t find anything on the budget on-line. I’m not saying it isn’t there, but heck if I could find it. Cuesta has an enrollment of 11,000 students (Wikipedia) so the $275,000,000 bond equals $25,000 per student. I just don’t know. This just seems high. I have to vote NO on this one. They just didn’t sell it to me in a way that I feel comfortable where the money is going. Too many generalities and not enough specifics. I may be able to get more general info if you have a specific question. maybe not but i can try. If you are sold on voting no, I understand. Food for thought, your math would need to be calculated for the normal duration of a capital project (between 25-35 years depending on the system. Roofs closer to 25 water and gas systems closer to 35) if you multiply your student by say 30 years and then divide that number into the bond it gets you a better idea. A portion of this funding will actually last longer as it will be internal components of a structure that would be 50+ years. To make this math even more palatable, the last issuance of a bond is 12 years from the first so some of this funding will still be operational component of the District much longer. An amount of hundreds of dollars per student over the duration would be closer. This is not normally how capital bonds are considered, but i could see your point and wanted to address it. No spin intended with my response, just straight up math. As I replied to Mariposa, I just want to try help get the facts out and then we all vote what we think is best. Its cool that you tried to find the info and gave an honest response. Thank you!! Wrong forum? Perhaps, but I just don’t buy “waterworks” scoop. PLEASE VOTE “NO” ON MEASURE L. Many County residents are barely getting by with the current tax load. Cuesta is spending big bucks in a major effort to seduce the gullible to fork over even more dough. In this household, we’ve already voted “NO” and hope this County’s circumspect voters will ditto that. Appreciate your comments about tax. I have been a county resident for over 40 years and am voting for measure L because I believe it will ultimately help our students and San Luis Obispo County as a whole. In my case it is paying back for the good that I have enjoyed in this County for most of my life. Others paid for what i enjoyed before I got here. As far as scoop, everything i posted is easily findable on Google. If you search prop 39 in the year 2000 you will find the measure. If you google any community college in California and search “Bond” you will see articles of why they needed help with State funding, what it goes to and how it helped the community and students.. If you go to MiraCosta Community college or Mt San Jacinto Community College and look to see how they are struggling without a bond, you will see this is a change to the process and not a single District problem. If you take 30 minutes and go from District to District as I have you will see my numbers of bonds passing is accurate. I am not sure how this is considered “scoop” but everyone has a right to their opinion. Thanks for voting either way. I am a former service person and respect a person voting even if it is in opposition to my vote. Its a hard fought for right. Absolutely didn’t mean anything derogatory in using the term “scoop.” I was merely referring to your post/opinion. Some SLO County residents/registered voters absolutely DO NOT have the funds, period. To put it another way, if someone comes looking for water but my well is bone dry, even though it may be in my heart to want to help, I lack the resources. Our “money well” is dried up. Therefore, we cannot and will not vote to increase taxation because we do not have the personal funds to support ANY additional TAX BURDEN. Plain. Simple. NO on Measure L.
Thanks for taking the time to clarify. The most important thing is that you have the information available to make your decision. This was my goal to help with. Thanks again. You hear people complaining about tax increases for this and that this election season. You hear others defend the tax increases as “It’s only $20 per $100,000. It’s so small you won’t even miss it”. The California sales tax has steadily gone up over the past 65 years from 3% to now over 8%. California’s income tax is the highest (13.5%) in the country. California’s property tax, 1% of the price you paid for your house, isn’t cheap. For a typical house of $500,000, that’s $5,000 a year. For someone that makes $100,000 a year, that’s 5% of your gross income (and most likely 10% of your NET income). And, your property tax goes up 2% a year. Then there’s the special assessments to your property tax (such as for Lopez Dam, etc.) that increases the property tax even more. For once, would someone come up with a plan to reduce a tax rate. Or at least keep it the same. No. Just about every politician wants to nickel and dime us for something or other. This tax environment is getting rather oppressive in California. I have a small business and fully 50% of my income goes to taxes (not counting sales tax and property tax). It’s crazy. Why can’t our government learn to live within a budget? If Laguna Lake has all these rare fish and other species I believe it may be a violation of various EPA, Fish and Game, and other environmental laws NOT to dredge the lake. We are deliberately destroying instead of maintaining a valuable wetland that is home to Canada geese, mallards, and many other species. We have dead fish from lack of water. How can this be legal? If the city does not do something immediately, instead of hiding behind the “it’s too complicated” excuse, I believe a class action lawsuit maybe in order to restore the lake and the wetlands. The city already has a history of violating environmental laws -ie dumping the toxic waste at the corporation yard – looks like we are getting more of the same here. Our Council should be ashamed! This is vintage SLO politics. What the Chamber wants can be coughed up in no time, budgeted or otherwise. What the Pismo Preserve people want can be coughed up even though not budgeted ($75,000 recently voted on spur of moment pleadings to pay for open space 10 miles from SLO’s greenbelt.) But what the residents of SLO want? No way. Get in line. Fight among yourselves for the crumbs the council graciously drops on the floor after eating their taxpayer-provides snacks. Of course Marx wants to wait till January, by which time the lake will have water in it and dredging will be much more costly and more challenging. Is she an idiot, or just an obstructionist? (She was very much in favor of giving money to Pismo.) Or does she just eat out of staff’s hand, and THEY want a big exciting project they can spend 5 years planning before starting it in another 10 years? All of the above is why we should vote No on G. Let them show us they’ll use tax dollars for ANYTHING the residents want before asking us for more. PS. Surely they’re not claiming there are steelhead in Laguna Lake? What a joke. They couldn’t survive in that cesspool. Besides, the lake is behind a dam they couldn’t jump over. Just a few thoughts and comments. Would it be possible to lobby to acquire an exemption in order to expedite the permit process identifying Laguna lake as part of flood control? I recognize the need for all the environmental review, but there are ways to mitigate any and all impacts to the aquatic environment. The wetlands, species of concern, migratory spcecies, plant species etc. all have to be addressed….and that can be done. I anticipate a project like this will require an EIS/EIR and that will take lots of time and money. Having said that, every avenue should be explored in order to expedite the process. Previously, I recommended that the OETT (Operating Engineers Training Trust) be contacted during the permitting process to see if they could help supplement the dredging..that in and of itself would be a cost saving measure. In addition, I’d like to recommend that when the issue of the dredging spoils are addressed, that the Camp San Luis Obispo Environmental Planning office be contacted in order to discuss the possibility of depositing the spoils in one or two of the abandoned mines located on the property. Ten years ago when Morro Bay was researching dredging the back bay, they sought out Camp SLO as a potential site. For all intent and purposes the Camp had no intitial problem with the project pending environmental review but the cost to truck the spoils to the camp was too costly. CSLO charged NO fee. It might be worth investigating. The city uses “permit problems” as an excuse to stonewall everything residents want. No cleaning of creeks anymore — it takes permits. As the guy from Atascadero said, if you have a need, the permits will be forthcoming. This is just the SLO way of politics. Permits are just an excuse. Maybe the residents along the lake should rent equipment some weekend, and go out there and do the dredging themselves on Sunday, when City Hall’s closed. When developers do this sort of thing — which they frequently do — the city fine is only about $500. Pass the hat and pay it. A lot less aggravation than dealing with the council idiots.